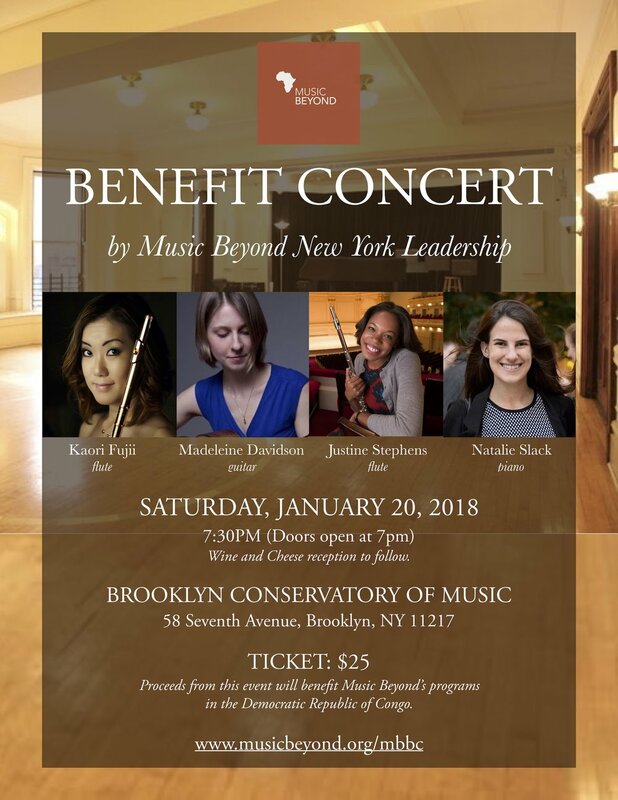 Music Beyond Benefit Concert — Music Beyond, Inc.
Our annual Benefit Concert will take place on Saturday, January 20, 7:30 pm at the Brooklyn Conservatory of Music (58 Seventh Avenue in Brooklyn, NY 11217). In a theme of “by musical professionals, for music professionals”, our Music Beyond NY leadership will perform in sets of classical and world music. All guests are invited to a reception following the concert. Proceeds from this event will benefit Music Beyond's programs in the Democratic Republic of Congo.